These dollhouse miniature snacks are large soft pretze4ls. 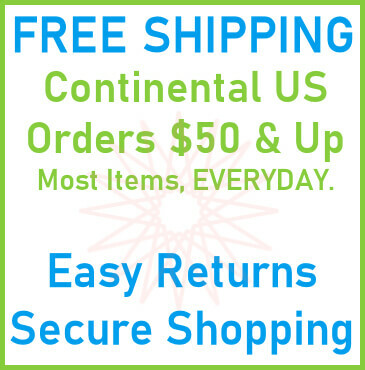 The miniature soft pretzels come 4 in a pack and are handmade. 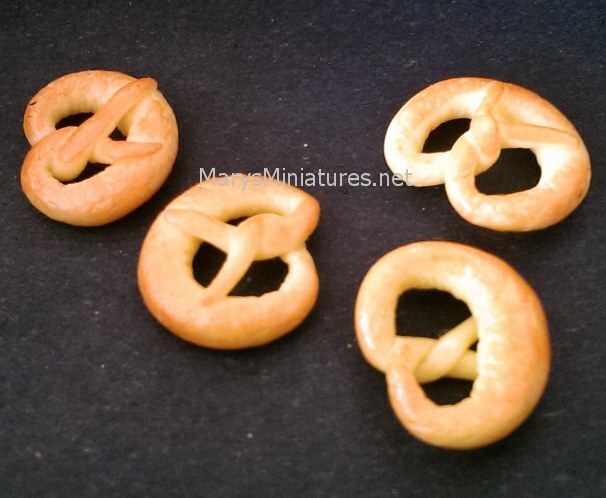 The 1:12 scale soft pretzels measurements vary a bit as they are handmade, but generally measure about 1/2" wide by 7/16" high by less than 1/8" thick. 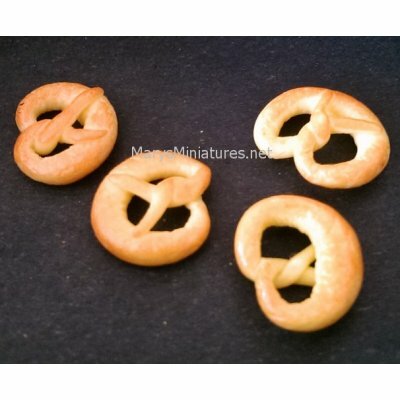 This Soft Pretzels 4pc is supplied by Mary's Dollhouse Miniatures, which generally ships within 1 business day(s) of you placing your order .